It’s time for a new kitchen adventure and of course I can’t wait to share it with you. Growing up in a traditional Italian family and then marrying into another highly traditional family, my love of Italian Food runs deep. My family loves pasta and I love vegetables and I love merging both in order to create a fiesta for the taste buds and the belly! Cooking pasta with vegetables is a great way to lessen the pasta amount and decrease the carbs you are about to ingest and increase your vegetable intake. Elephant Garlic from Frieda’s Specialty Produce just arrived at my doorstep so it’s time to whip up a batch of Broccoli Pasta. The key ingredient in Broccoli Pasta, is the garlic that you use, as the garlic is going to enhance the taste of the Broccoli. This is my story of lavishly living Broccoli Pasta With Elephant Garlic out loud and your chance to copycat! Broccoli Pasta is a two step meal, that is relatively easy, and very authentic Italian. You will prepare the broccoli and prepare the pasta, and then you will combine for an amazing meal! 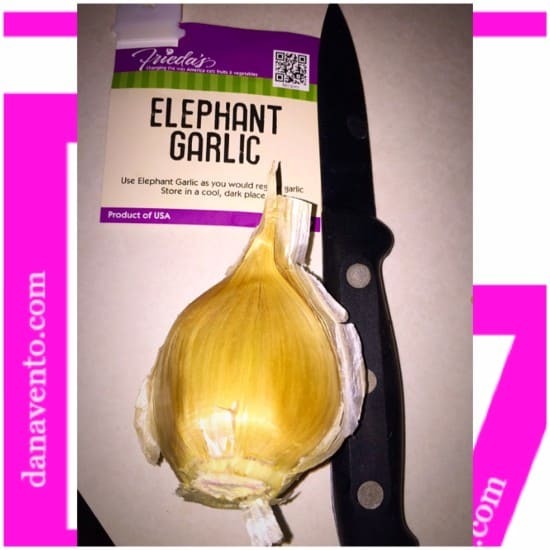 I was fortunate enough to test out the Elephant Garlic pictured here, and one CLOVE is as big as the palm of my hand, meaning, that you need to find a recipe where garlic is a key player to use that whole, peeled clove. 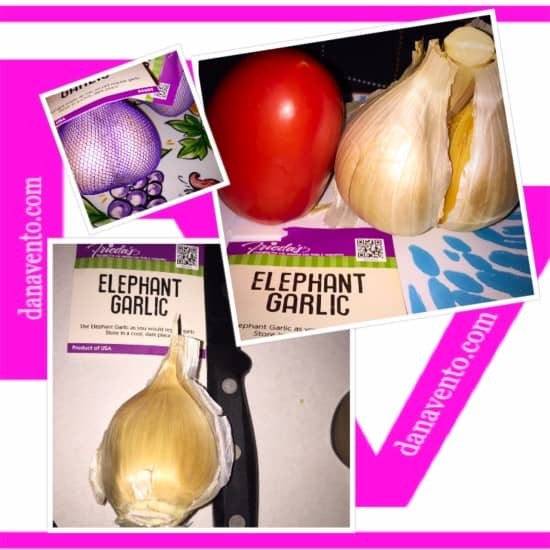 Look at how large a clove of Elephant Garlic Is as I set it against a Roma Tomato just so you could see. One clove goes a long way, and I love using it in recipes where Garlic needs to be predominant, pungent or in larger quantities. Minced, Sliced, Chunked, however you use it, it’s awesome and you can find it at Frieda’s Specialty Produce and in your local produce sections where they carry Frieda’s Produce. The nuttiness of the garlic adds to the flavor or the broccoli and when they are united and cooked together, the taste of the broccoli is incredibly delish. 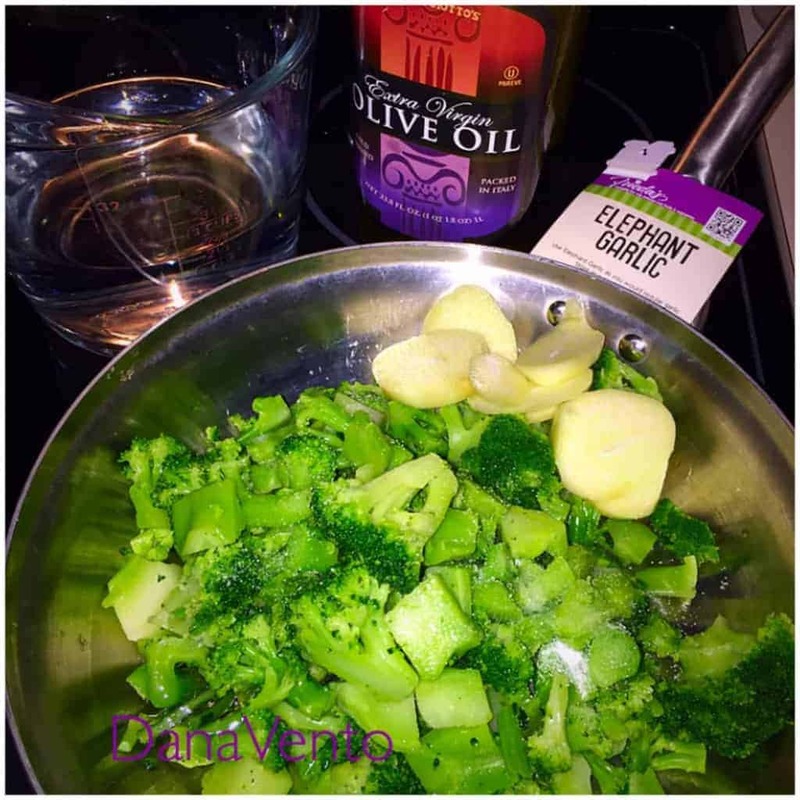 Grab a clove of garlic(Elephant of other), add some olive oil to a pan and saute a few pieces, making sure to not burn, turn as it browns. You are creating an olive oil with garlic flavor. Now Let that cool down and lets start to add the broccoli to the mix. I use 2- 16 oz bags of frozen broccoli in order to make plenty. Boil your pasta and reserve 2 Cups of boiled Pasta water. You will be using this later. Boil Pasta in a Separate Pot, salt with about 3 tsp of salt and while pasta is boiling remove 2 cups of boiling pasta water and reserve for later. Place Olive Oil and Sliced Garlic in pan. Cook until the Garlic is soft and mashes. 1. Do not over cook the pasta, al dente is better for this recipe. 2. Do make plenty of broccoli. 4. Garlic should continue to cook as the broccoli cooks and you should smash it into the final product, it blends well when it is cooked, and the taste it offers is awesome. 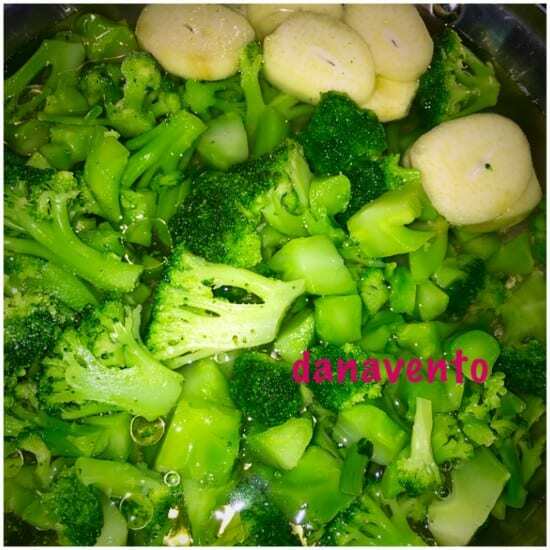 Lavishly live food out loud and enjoy Broccoli Pasta. This is so simple to make and the taste is fabulous, you may never eat broccoli without cooking it this way again!